For me boots are year round staples! I love wearing them for any occasion because they’re so comfortable, I love them so much I prefer them over heeled sandals and try to wear them as much as possible in the summer time. Though I love boots always, it’s hard to justify buying boots till fall and winter, I already purchased 2 pairs from Loft (you can read about them here) but of course one can’t simply have enough boots in the shoe closet. 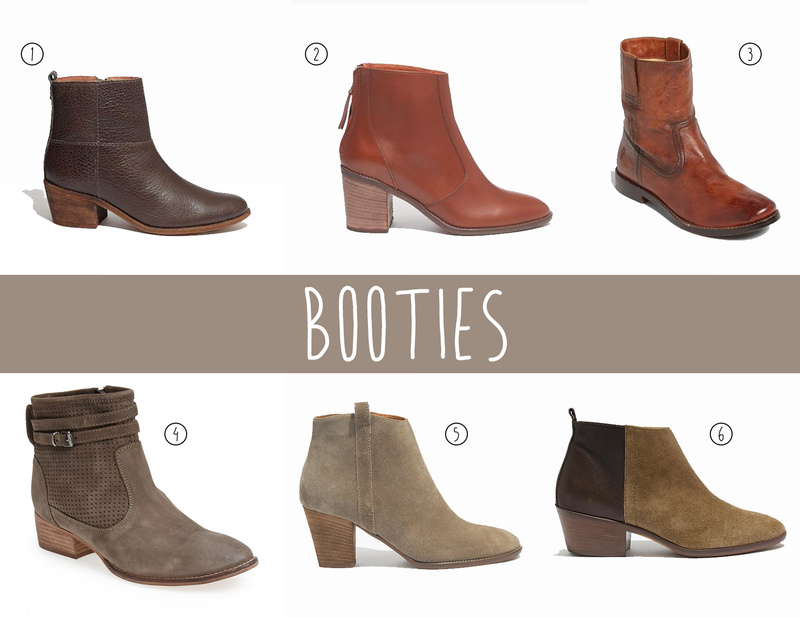 I tend to lean towards booties because they’re easier to put on (and take off) and since I’m in the office for the majority of the day I don’t really want to sit in knee high boots all day and overheat my legs. I do love a good pair of knee high every now and then but I just don’t find myself wearing them that often anymore. I’m being very patient and as selective as I can when it comes to picking out new items now because of the capsule wardrobe challenge, but I’m seriously loving all of these, so you just might see one or two of them in my next capsule wardrobe!